The LG NITRO HD is the latest release smartphones AT&T has to offer to its customers on Dec. 4, 2011 exclusively through AT&T company owned stores and online with a selling price of $250 on a two-year contract. The crystal clear display is not the only offering but it comes with superfast speed dual-core 1.5 GHz processor powered by AT&T 4G LTE network technology which make the phone user friendly and attractive. The phone weighs only 127 grams and is just right in the pocket for its slim design of 133.9 x 67.8 x 10.4 mm. More specs: An 8-megapixel 1080p HD video camera recording, 1.3MP front-facing for video chatting, 1GB RAM, with 4 GB on-board and an existing16 GB card expandable up to 32GB microSD card slot. 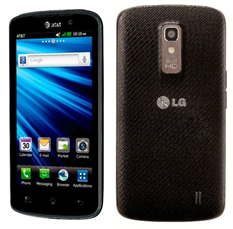 The LG Nitro HD, for now, will run Android 2.3.5 Gingerbread and has no indication yet for upgrade to Ice Cream Sandwich. I don’t know if this will be released in Philippines. But there are other phones that have the same speed or even better specs that this phone.